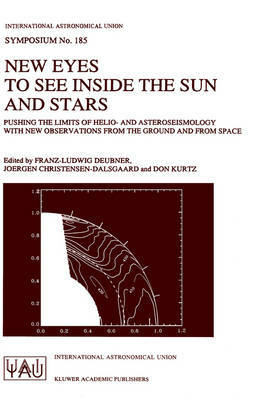 The cover picture of this volume displays one of the most advanced products of he- lioseismic research: a view into the deep interior of the sun, revealing its distinctly non-uniform rotation throughout the entire depth of the convection zone. Just over 20 years ago, the first successful helioseismic experiment disclosed an increase of ro- tation velocity in the uppermost one dozen megameters below the photosphere. The stunning progress in depth and detail highlighted by the cover diagram (and by others shown in this volume as well) was made possible by considerable advances in instru- mentation, by the development of powerful analytical tools and, foremost, by the involvement of new brains of enthusiastic proselytes and newcomers to the field, in- creasing nearly exponentially in number every year. New branches of research widened the scope of "uranoseismology", as e. g. time-distance seismology (the promising av- enue towards small-scale and short-time variability), atmospheric seismology (a new look at strange phenomena we have all ways seen, but hardly understood), and finally the growing observational assault on hundreds of individual stars which are either manifestly or supposedly oscillating -i. e. asteroseismology. The formation of numer- ous solar and stellar observing networks and, ultimately, space missions like SOHO have greatly promoted the potential of this science. This steady progress was accompanied by workshops, colloquia, and symposia in quick succession.